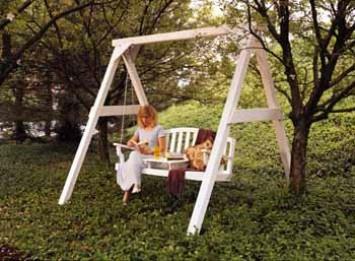 Add extra seating to your yard with free porch swing plans - also garden swing plans. 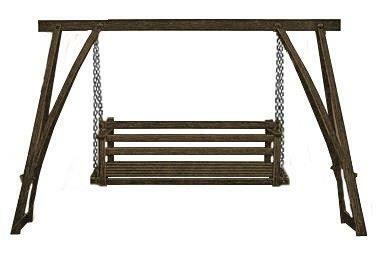 A stand alone garden swing that is simple to build. 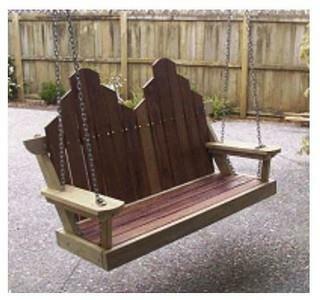 These plans can be used to make a lawn swing for the yard, or hang it from the porch as a porch swing. This seat has an adjustable seat-back which angles back to give varying degrees of comfort. 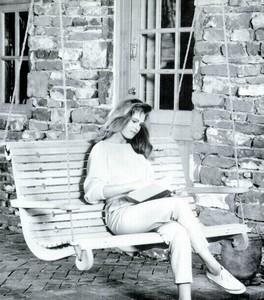 While away the day in our swing, suspended so its' seat tilts comfortably to the rear. 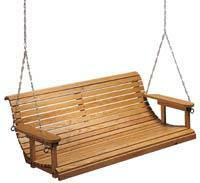 A swing that is built to last a lifetime all in a single weekend! Build a 2-seater porch swing built for life in the slow lane. 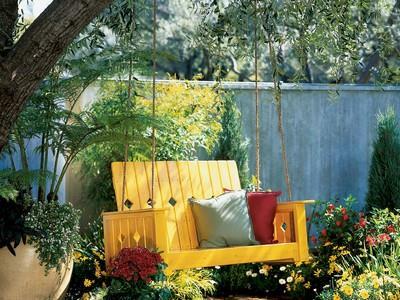 You can build your own classic porch swing and match it to your decor. 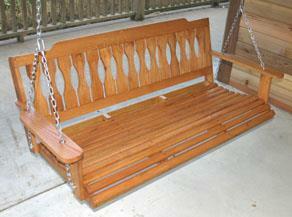 With just a little bit of skills and tools you can easily build this sturdy, weather protected porch swing. 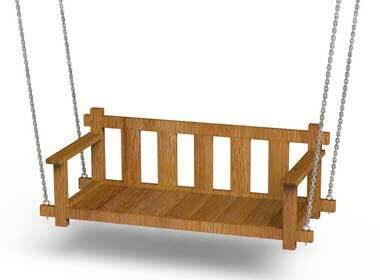 Build an inviting mission-style porch swing.